AAA Pavers, Inc. is Florida’s leading paver contractor specializing in the installation and design of various outdoor features. Our licensed personnel have created some of the finest paver amenities in East Coast of Florida from Jupiter Island to Boca Raton, and we can surely do the same for you. We provide innovative solutions even to the most complex paving projects, and we do them with utmost efficiency. Call us today and let us discuss your specific needs. 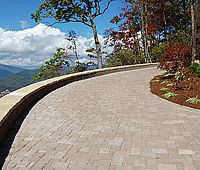 As paver experts, we can work on practically every paver type available in the market. 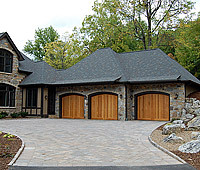 We can install concrete, brick, permeable, and natural stone pavers (slate, granite, bluestone, marble.) 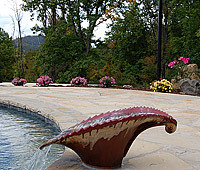 The wide range of available designs, patterns, shapes, and sizes allows us to create highly customized structures that can make any outdoor area exceptionally functional and stunning. These materials are all sourced from reputable manufacturers, so you’re assured of their fine aesthetic and practical qualities. We only recommend and use paver products that we have personally tried and tested to be up to our standards as our way of ensuring exceptional results from every paver installation project that we handle. For years, we have installed countless paver structures, such as driveways, pool decks, and outdoor kitchens in commercial and residential properties in East Coast of Florida Cities. The great thing about the pavers that we use is that they are guaranteed to make your property stand out. The paver options that we have are perfect for Florida’s predominantly tropical climate because of their hardwearing nature and resistance to damages caused by exposure to the elements, like sun and rain. They can also turn vacant spots around your property into functional outdoor living areas, where you can relax and bond with your loved ones or guests. We know that the choice of materials is one of the most critical decisions that any DIY-homeowner or builder has to make when working on paver installation projects. Because of this, we have always made it a point to only recommend or use pavers from reputable manufacturers. Our partnerships with leading manufacturers, like Belgard and Old Castle, make it easy for us to create structures of exceptional strength, beauty, and practical benefits. The wide range of design options from these manufacturers also means that clients can go for highly customized paver structures based on their specific preferences. As part of our aim to serve as a one-stop-shop company specializing in pavers, we offer other expert services, such as paver maintenance (specifically cleaning and sealing), replacement, and repair. Accordingly, you can have us visit your property on a scheduled basis so we can address whatever paver concern you may have. We have properly trained personnel who are equipped with appropriate tools and equipment to effectively handle any task needed to keep your paver surfaces and structures looking great and in tip-top condition. Whether you’re in Palm Beach Gardens or in other FL cities, only choose a paver contractor who can guarantee stunning and functional outdoor amenities made of pavers. At AAA Pavers, Inc., we can surely provide the solutions that you’re looking for regardless of the complexity of the paving project. Call (561) 284-9834 today.